Some non-human primates occasionally use tools. So how are humans different? Watch this video to find out. NOTE: This video is silent. 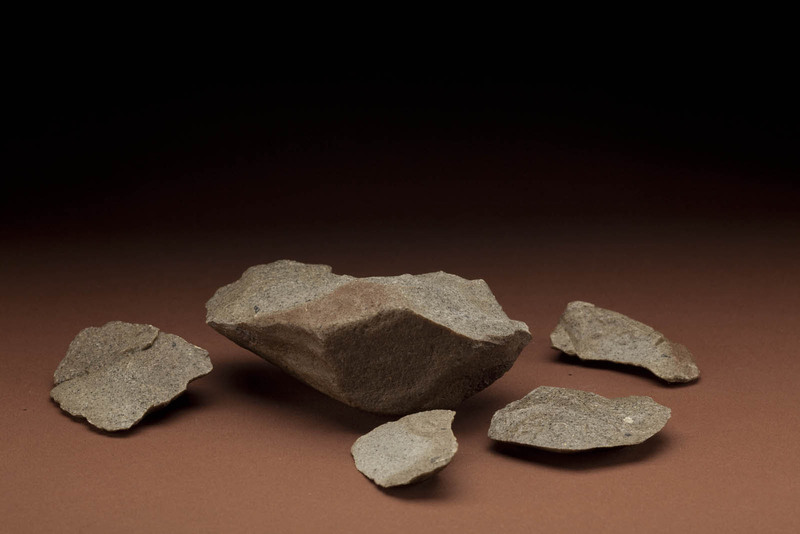 Early humans in East Africa used hammerstones to strike stone cores and produce sharp flakes. For more than 2 million years, early humans used these tools to cut, pound, crush, and access new foods—including meat from large animals. How Do We Know This Zebra Was Food? Stone tool marks on this zebra bone look like those made during butchery experiments. Scientists have made experimental stone tools and used them to butcher modern animals. There is a strong similarity between the marks their tools made and the marks on fossil animal bones, indicating that early humans used stone tools to butcher animals by at least 2.6 million years ago. Around this time, toolmakers began to strike huge flakes off stone cores. They shaped the large flakes into handaxes by striking smaller flakes all around the edges. 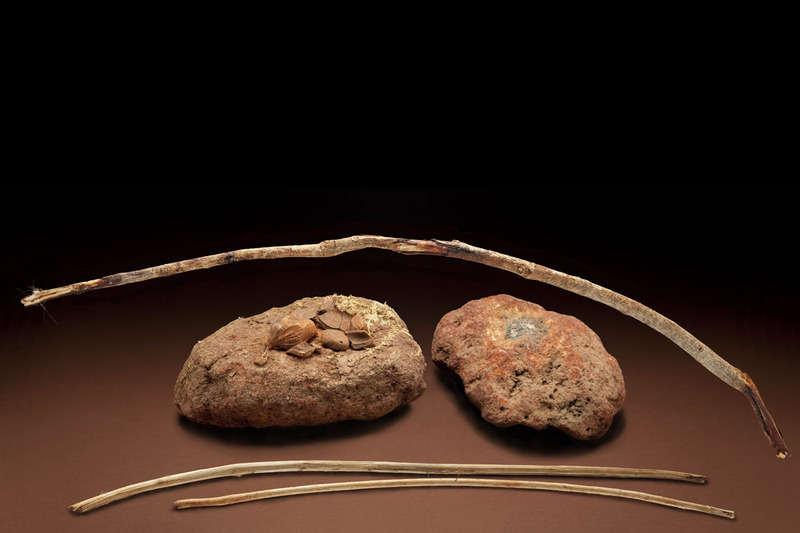 These multipurpose tools dominated early human technology for more than a million years. 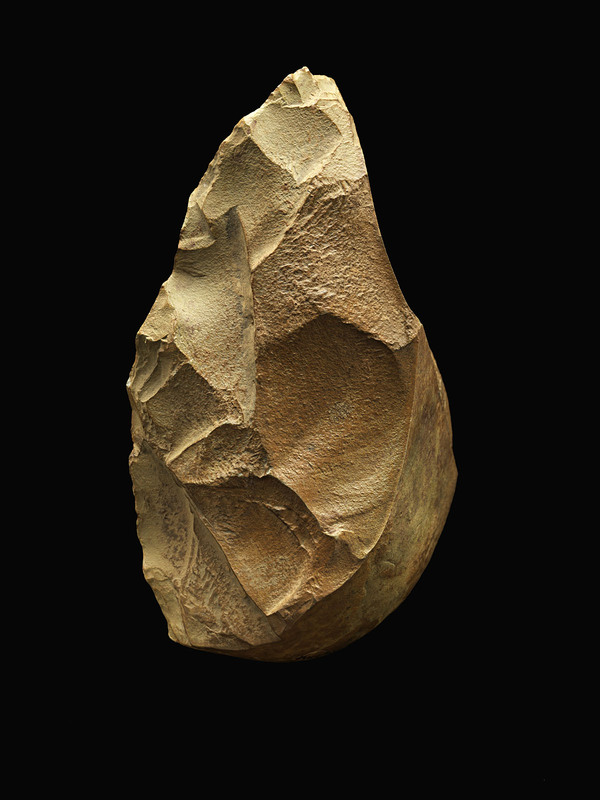 Ancient handaxes have been found in Africa, Asia, and Europe. Learn more about them and other Early Stone Age tools. Handaxe from Bose, China, about 803,000 years old. Smithsonian scientists and their Chinese colleagues found these handaxes in the same sediment layer with tektites, small rocks that formed during a meteor impact 803,000 years ago. A huge meteor impact occurred in the atmosphere near China 803,000 years ago and the shock caused earth rocks to melt and explode, forming tektites. Widespread forest fires followed. Shortly after, humans moved into the barren landscape and scavenged for resources. Control of fire provided a new tool with several uses—including cooking, which led to a fundamental change in the early human diet. Cooking released nutrients in foods and made them easier to digest. It also rid some plants of poisons. The earliest hearths are at least 790,000 years old. Some researchers think cooking may reach back more than 1.5 million years. 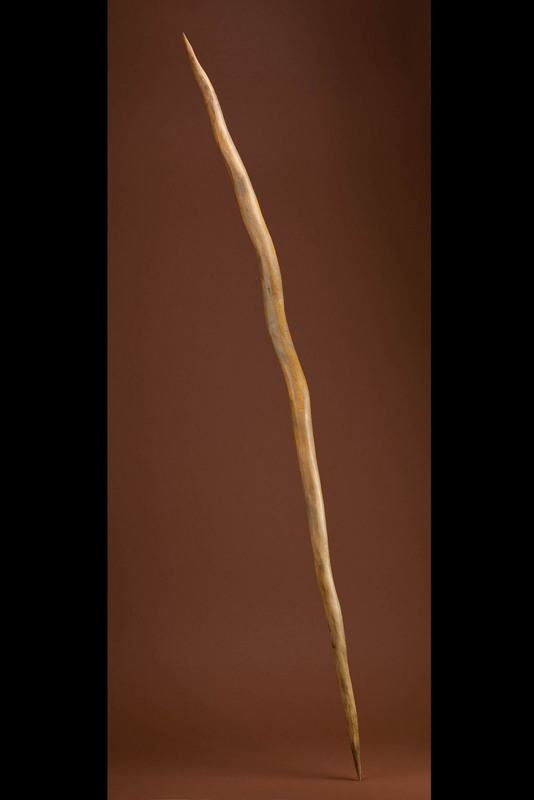 Wooden thrusting spear, Schöningen, Germany, about 400,000 years old. By at least 500,000 years ago, early humans were making wooden spears and using them to kill large animals. Early humans butchered large animals as long as 2.6 million years ago. But they may have scavenged the kills from lions and other predators. 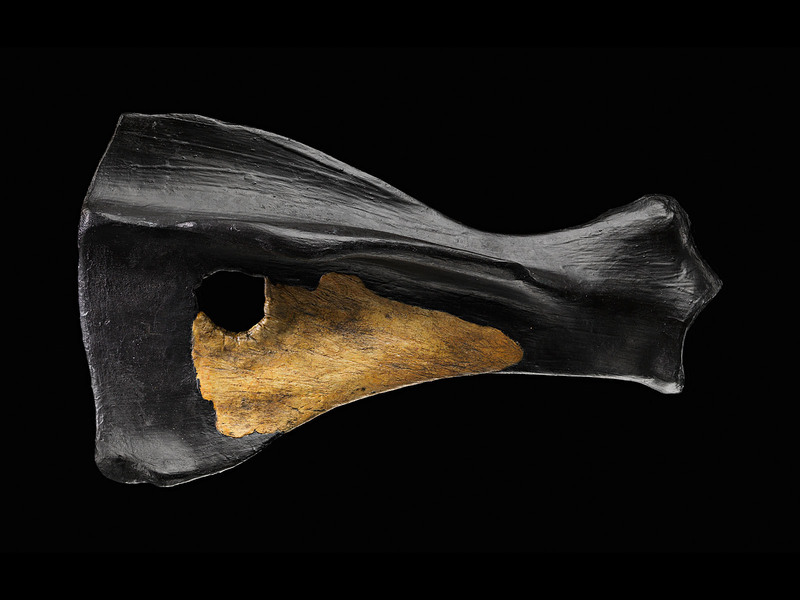 The early humans who made this spear were hunting large animals, probably on a regular basis. Hunting large animals was a risky business. Long spears like this one were thrust into an animal, enabling our ancestors to hunt from a somewhat safer distance than was possible with earlier weapons. Three wooden spears like the 400,000-year-old one illustrated here were found at Schöningen, Germany, along with stone tools and the butchered remains of more than 10 horses. The semicircular wound on this fragment of a horse shoulder blade was made by a weapon such as a spear, indicating it was killed by early humans. Other horse bones from the same site have butchery marks from stone tools. Eventually new kinds of tools replaced stone handaxes. Some were small or made of several parts. Some were made of bone, ivory, or antler. Over the past 100,000 years, as modern humans spread around the world, the pace of technological change accelerated—leading to today’s extraordinary diversity of specialized tools. Awls and perforators were probably invented in Africa and carried to colder climates, where they were used to pierce holes in clothing. Later, humans used bone and ivory needles to sew warm, closely fitted garments. Burins are specialized stone flakes with sharp, chisel-like tips. Humans used them to work bone, antler, ivory, and wood and to carve designs and images on the surfaces of these materials. More than 70,000 years ago, humans in Central Africa used some of the earliest barbed points to spear huge prehistoric catfish weighing as much as 68 kg (150 lbs. ), enough to feed 80 people for two days. Later, humans used harpoons to hunt large, fast marine mammals. Spear-throwers provided leverage for hurling spears and darts greater distances with more speed and accuracy and with less chance of injury from prey. 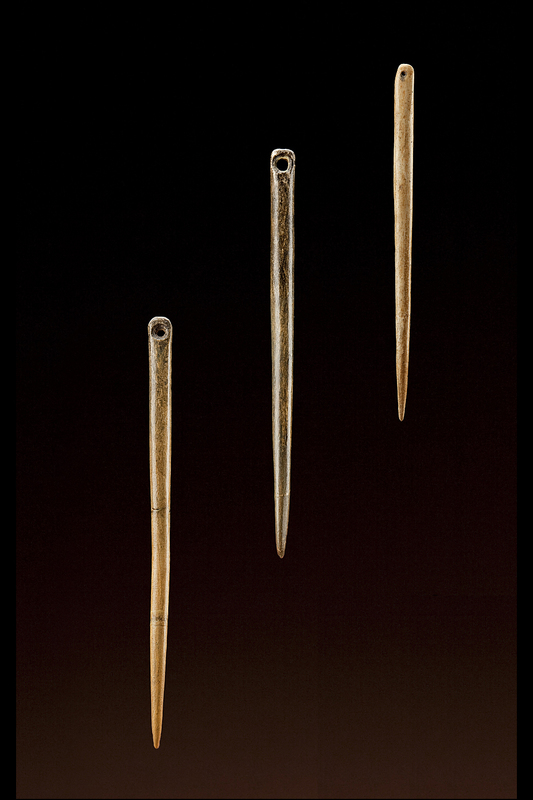 Stone or bone points, attached to spears or darts, enabled humans to exploit fast-moving prey like birds and large, dangerous prey like mammoths. 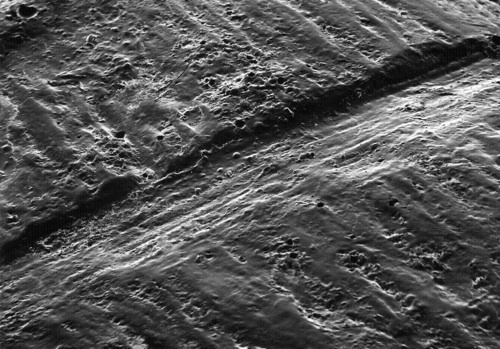 Early humans may have made bags from skin long ago. By around 26,000 years ago, they were weaving plant fibers to make cords and perhaps baskets. 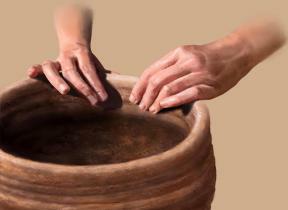 About 20,000 years ago, in China, they began making pottery. 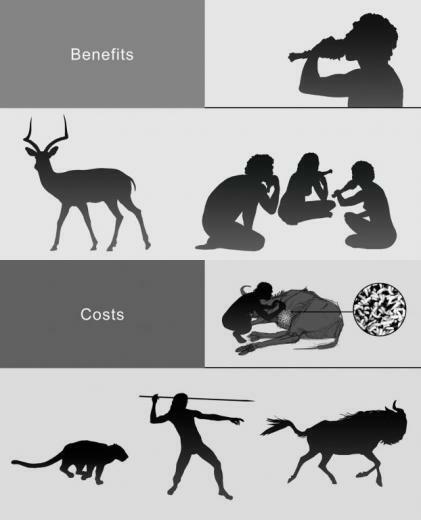 Illustrations of the benefits and costs of eating meat. - Meat is a concentrated source of calories, protein, fat, and nutrients. - Unlike many plants, most meat does not naturally contain toxic chemicals; so it was a relatively safe food for early humans. - Meat is more quickly digested than plants and does not require large guts, saving energy for the brain and other organs. - Hunting and scavenging large animals is risky and less predictable than gathering plants. - Dangerous animals competed with early humans to obtain meat. - Meat spoils quickly and can contain tapeworms and other parasites. How can you tell if a rock is actually an early stone tool? Watch this video to find out. NOTE: This video is silent.